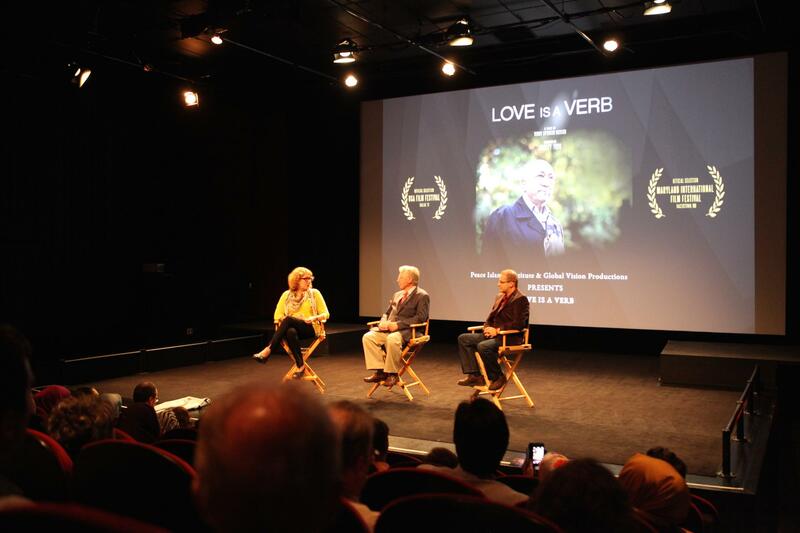 Yes, Love Is a Verb! "This is the story of a man...a Turkish Muslim...a scholar... a preacher... and the global movement of social activists he inspires...In 2013, Time Magazine named him one of the most influential leaders in the world...Because of his influence...at risk children are now being educated in hundreds of countries...The sick are being treated.....and the starving are fed....often at great personal risk...It's also because of his influence...and the collective power of the movement... that Fethullah Gülen is feared and even reviled in his native Turkey...And as a Muslim leader of a powerful global movement, he is scrutinized in the United States...where he lives in self-imposed exile." This is the way how "Love is a verb," the 1st feature-length movie about Turkish Muslim scholar Fethullah Gülen and Hizmet Movement by Terry Spencer Hesser starts, with renowned actress Ashley Judd's voice over, to show what people are able to do with the power of love! 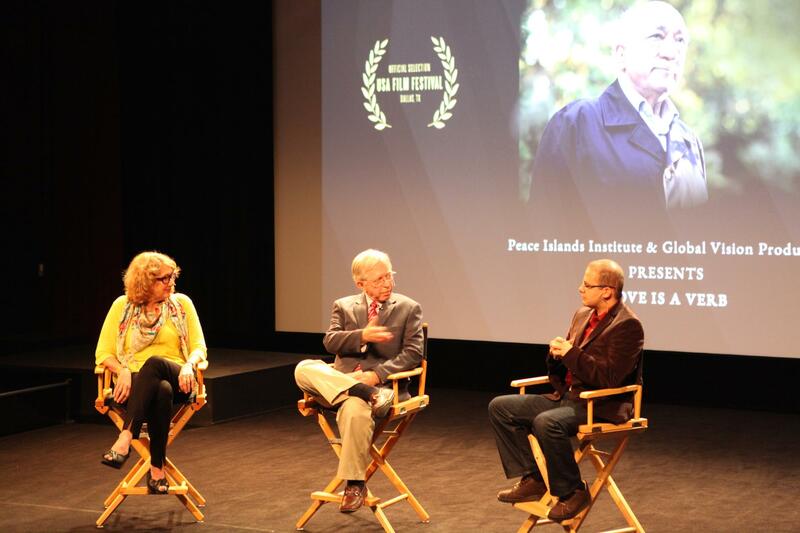 I saw the movie last Saturday at SAV theatre in Manhattan. It was interesting and impressive for me to see how sophisticated Ms. Hesser puts each angle of Gülen's philosophy and the aims of the movement together. To explore Mr. Gülen and the controversial movement of Turkish Muslims he inspires, director Terry Spencer Hesser examines Turkish history and Sufi mysticism first and then travels to Sarajevo, Somali, Northern Iraq, Turkey and the US to see how these idealists are working to serve humanity in order to please God. In our brief conversation before the movie, Ms. Hesser explained how she came up with the idea of the name of the movie. She frankly told me during an interview, the lady had answered her question with "we have love" and Hesser was admired by this dedication even though she totally cannot understand it! Hizmet means 'service' and 'Hizmet' people serve humanity for the sake of God. We understood this when Mr Gülen explained, "Each person has his or her own way of living a life pleasing God. Some will serve on the front line in the military. Some will retreat to a life of monastic study. In my opinion, the most important task is teaching, investing in people." Then, we saw what made Gülen distinct from other religious leaders in Turkey. Sabattin Atalay, one of Mr Gülen's old friends, explains how the movement started and "I remember him speaking to university students; they were talking about thermal dynamics... After explaining this scientific issue, he added some verses from the Koran and I was shocked with the combination of scientific issue with the Koranic verse." Gülen not only shows the connection between Islam and science but makes the connection between Islam and modern democratic life as well as service to God's creation. Writer Helen Baugh indicated that "He began saying what Turkey needs right now, like all of the Middle East, is education for its young people. We need to teach them math and science and notions of democracy." To me what is important is that Gülen is preaches equality on girl's education. Personally, I think one of the best parts in the movie was seeing Nergis Halid, an English teacher of the sizeable Kurdish population in northern Iraq. She was a student at one of the Gülen schools and then became a teacher at that same school. Such a great role model for those girls in that region to acknowledge education is their right and it is possible for them to achieve their goals. When talk about Hizmet Movement and education of course Hesser talks about Charter schools and the movement in the United States. Since the movement has been already had some progress in establishing inter-faith dialogue and cultural institutions in the US eventually, a group of Turkish educators influenced by Gülen's ideas began opening charter schools. Now, those schools are problem for some people! However, in the U.S. f you call a movement as 'a Muslim movement' there will be immediate suspicions about 'what are they doing?' Jill Carroll pointed out that clearly in the movie: " There are huge chunks of people, who have already made up their mind. That Islam is a deadly religion that people in it are deadly, up to trickery, and cannot be trusted. And certain members in that viewpoint who will never be converted to another viewpoint." Yet, teaching religion is prohibited in Charter schools. These charter schools gets attention just because of their apparent association with an influential Muslim leader. 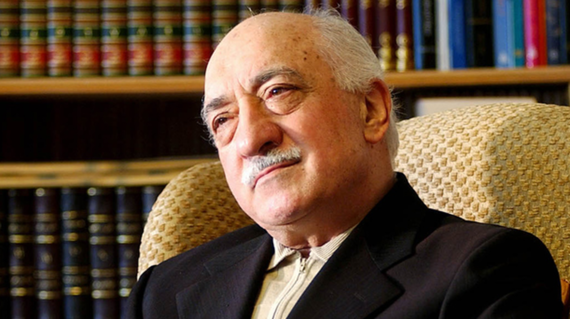 Nevertheless, it seems that, the only connection to Fethullah Gülen and some of the Turkish American educators who involved in these schools, at a personal level. They were inspired by Gülen's ideas about serving people regardless of their backgrounds. Also, as an educator and an active board member a local charter school I feel obligated to assure you that most of the teachers in the U.S. charter schools are American. Thus I cannot understand those suspicion and why critics complaints that taxpayers are paying for the visas of international teachers! Besides, the timing of the movie is great. It felt awkward watching Prime Minister Erdogan when he invited Mr. Gülen to go back to Turkey in 2010 at an Educational Olympics sponsored by the movement in Istanbul. There was a big sigh from the crowd in the movie theatre after that seen. Yes, after eight long years Fethullah Gülen was eventually acquitted in the Turkish Supreme Court of Appeals. During that time, Turkey was trying to enter the European Union. And it was required the establishment of civil liberties and abolishing the security courts where Mr. Gulen was initially indicted. Yet he didn't return to Turkey. As answer to the question "why?" he declared "I'm not returning because I don't want to be a cause for problems there. I don't want to be the cause of any discomfort or loss of the gains that have been made. Even if the chance of such damage occurring were only 1 percent, this concern would be enough to keep me away." Then, we heard the very well known, and recently deceased, Turkish journalist M. Ali Birand saying "He is a very cautious man. He knows that the day he will come here he will be greeted by millions of people. It will upset the government, it will upset the military, it will upset the secular forces." I couldn't understand it at that time but with the present picture of Turkey right now, all those words make a clear sense. While watching the movie I acknowledged one more time that we people have a tendency to believe in bad things more easily than in the good things! In the movie, Jill Carroll confessed," I realized that I myself had become cynical and didn't really believe that people could operate and live in the world from those types of clean motives." I thought it's true for many of us. Also, Turkish journalist Oral Çalışlar explains in the movie how some people of Turkish society are afraid of the movement! 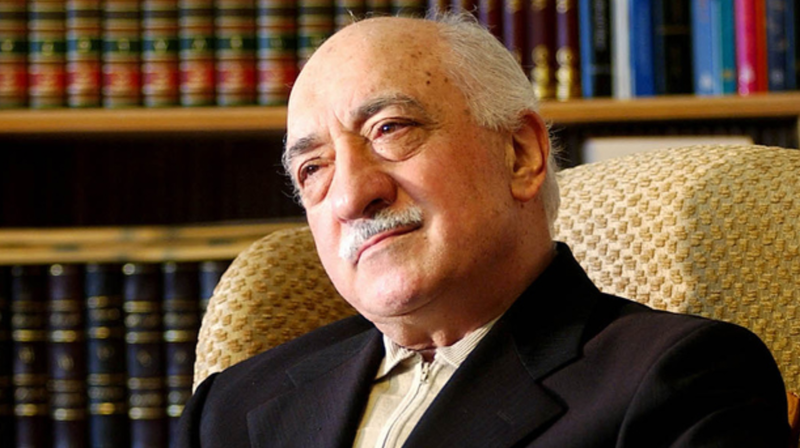 In Turkey, some people believe that Gülen will bring Sharia Law while others accuse him of conspiring with everyone from the CIA to Zionists and Catholics. Jim Harrington from George Town University explains the concerns very clearly "The establishment felt threatened by this rise of sort of a middle-class bourgeois movement and it had this religious leader, using Sufi ideas about tolerance and education, about sharing, and about everybody having part of the economic pie. So I think that was the greatest challenge to the establishment. And so what they did is used their anti-terror law and charged him as a terrorist, basically." Yet, the movie openly shows Fethullah Gülen's message to his followers: 'work hard to invest in education, health services to improve people's lives who are in need.' He is not seeking individual enlightenment; he is seeking a way to make the world a better place. Though, individuals who work hard to achieve this goal also have a transformative inner experience of enlightenment. In today's diverse world, there are hundreds of social movements rooted in religious traditions as a tool of pluralism and Hizmet Movement, uniquely a Turkish and Islamic one, is only one of them. My take of it is that it is wonderful since we need many sincerely devoted hearts to make the world a better place. Special thanks to Hakan Berberoğlu for his contrubutions to this article.